Chronometer-certified, the Navitimer B01 Chronograph 46 watch boasts an original design with a transparent caseback. A self-winding mechanism sits inside a classic black dial, with white and silver hour marking details and co-ordinating hands, with a red seconds-hand. 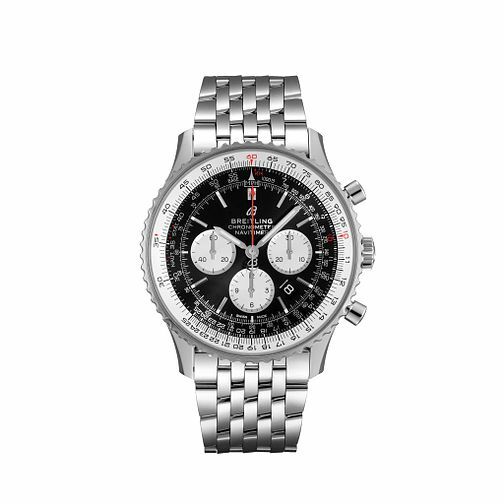 A handy date window is displayed between the 4 and 5-o-clock positions, placed within the stainless steel case upon a stainless steel bracelet, this Breitling timepiece combines smart and stylish.